Aquaman, one of the lesser known members of DCEU’s Justice League has been busy, to say the least. The hero, who will be seen in Justice League is busy shooting for his solo debut. The hero has little to no exposure to the world of film, so his debut, whatever finished product it may be will finally delve deeper into the Aquaman lore. Pictures taken from the sets have been surfacing during the past few days. 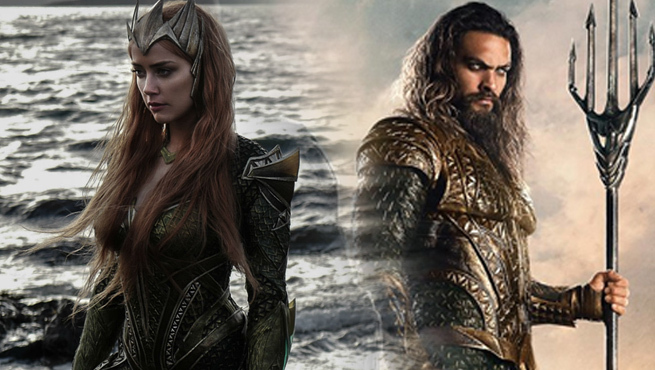 Director James Wan had posted a picture of Queen Mera, Arthur Curry’s love interest on his social media, which was followed by actress Amber Heard’s on the posting of herself in her Mera costume. 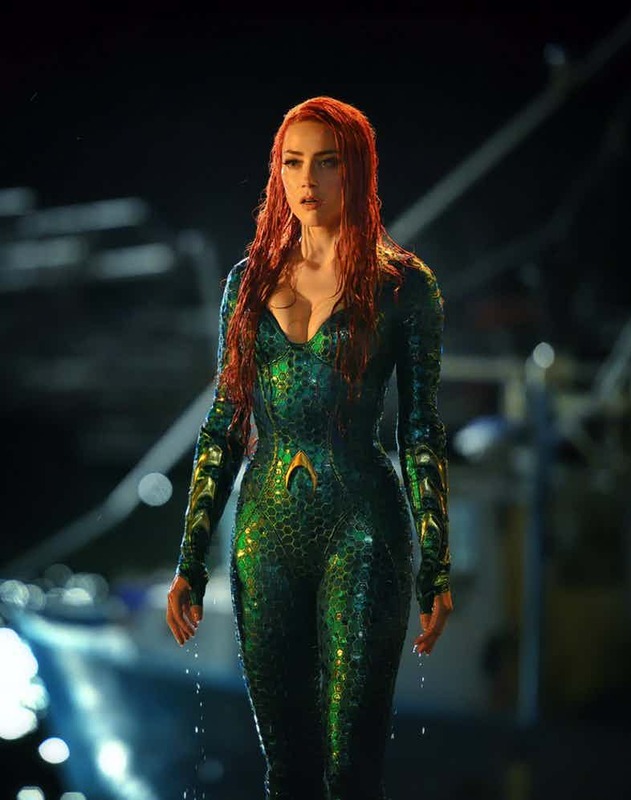 The reveal showcased how Mera’s costume seemed to not stray far from the source material. 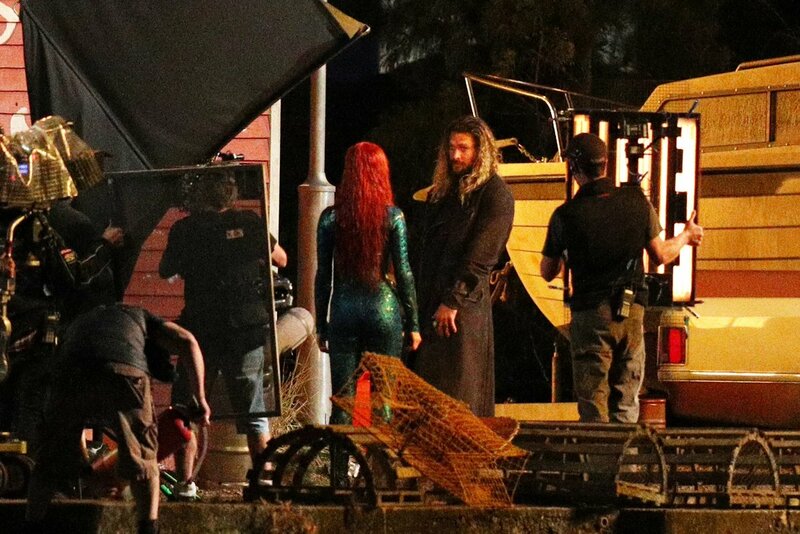 Fansites have also posted the first ever scene of Arthur and Mera together, on the Gold Coast in Queensland, Australia, on May 26, on what appears to be a small dock, which could very well be another shot of Arthur’s hometown, Amnesty Bay. The duo’s relationship has been a driving force for many of the storylines in the Aquaman comics. Wan had also previously stated in various news outlets about Aquaman being different from other DCEU film. Using words like “fun” and “swash-buckling adventure” to describe the film. And judging from the pictures, it looks like the cast are indeed having fun with the film. Fun has been the keyword used for all the upcoming DC movies. Unlike his Justice League teammates, Arthur Curry has not yet made his debut in the world of films. This was partly because filmmakers were yet to get their hands on special effects equipment that is readily available these days. The hero spends half his life underwater, communicates with underwater life like fish and is the ruler of Atlantis. And the timing for the film seems right. Audiences have become more open to seeing superheroes of various degrees and Aquaman has been a major character in the DC comics. It was only a matter of time before a demand was issued by fans, but luckily they didn’t have to reach for it. Could Ultimate Captain America Burn SECRET EMPIRE To The Ground?